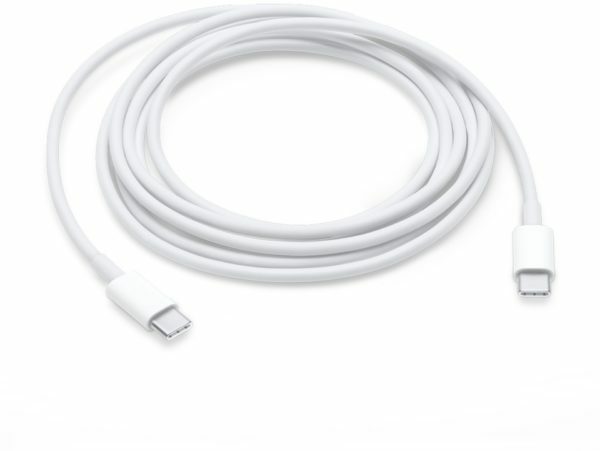 This 2-meter charge cable with USB-C connectors on both ends is ideal for charging USB-C devices, and also supports USB 2 for syncing and data transfer between USB-C devices. To conveniently charge your MacBook or MacBook Pro from a wall outlet, pair the USB-C Charge Cable with a compatible USB-C power adapter. USB-C power adapters sold separately. Apple recommends pairing MacBook with USB-C port with the 29W USB-C Power Adapter, 13-inch MacBook Pro with Thunderbolt 3 (USB-C) ports with the 61W USB-C Power Adapter, and 15-inch MacBook Pro with Thunderbolt 3 (USB-C) ports with the 87W USB-C Power Adapter.